Thank you for the…team event! This month the team at Pro-Development achieved a wonderful thing and we’re so grateful and proud and all we want is to say it out loud. 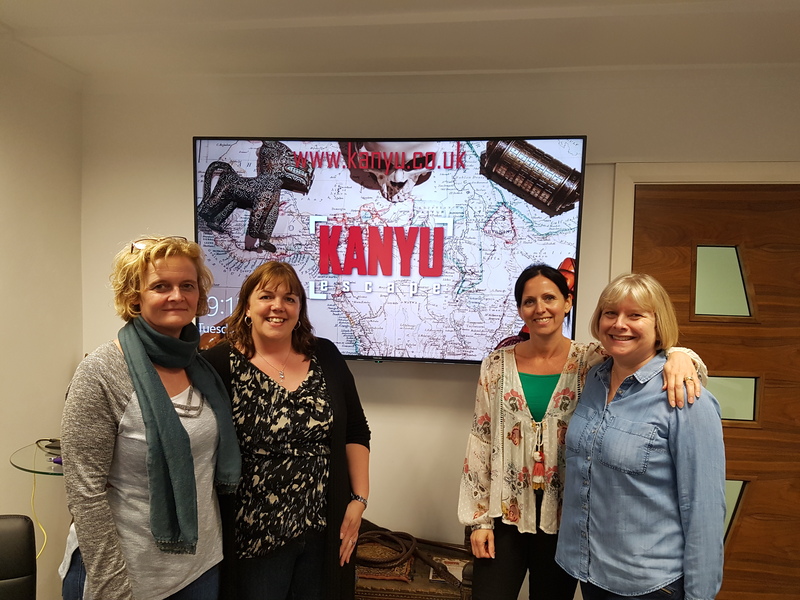 Yes, we went to the Kanyu Escape rooms near Wetherby and made it out (eventually, with a lot of clues). Now, team events are a bit of a busman’s holiday for us, but how interesting when the tables are turned! So how did we get on? Well, very well…surprisingly! Although we needed an extra 12 minutes to achieve the task, we got there in the end. What did we get from the event? If it’s been a while since you have had a team event, we can highly recommend it. If you would like some help, get in touch with us. 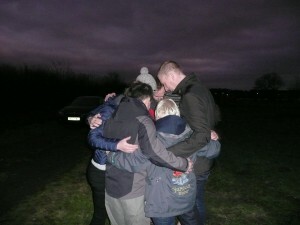 We design and deliver bespoke events especially for your team so you can get the most our of it too, just like we did. Ah if only I had more of it! It seems to disappear, there’s never enough time in the day to do what we need to do. Recently I met a lady who was early for our appointment, I said I would get there as soon as I could. I spent the next half hour dodging through traffic, getting het up as everything was taking too long and arrived in a fluster and full of apologies for taking so long. She on the other hand, had a light bulb moment and shared with me, in her calm and serene manner “I’m always late, however being early has given me time to prepare my thoughts, to reflect and learn and its been really great, I am going to be early more often”. Then I had a light bulb moment, we are victims of our own making. We pack so much in to our busy days that we don’t often allow ourselves time to stop, to catch our breath, to reflect, to learn. I long to be that calm, serene self and so from today I made a pact with myself to change a few things to remove some of this self-imposed time pressure. Does this resonate with you? 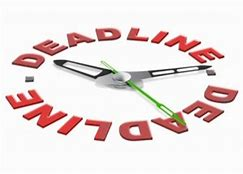 Do you impose deadlines and pressures on yourself unnecessarily, because let’s face it, what’s the worst that can happen? Are you unrealistic about how long things will take you. If you have answered yes, think about 3 actions you could take to change a few things for yourself to remove the pressure. If you need more support and challenge in doing this, explore the option of being coached by a member of the Pro-Development team. Coaching is a very powerful tool that can help with behavioural change and may be just the thing you need to make the changes needed. Take a few moments to read what people who have worked with us have to say. Over the last few months we have come across numerous managers who have struggled with their transition to manager. This isn’t the first time we have written about this; however the issue of transition doesn’t ever seem to go away. 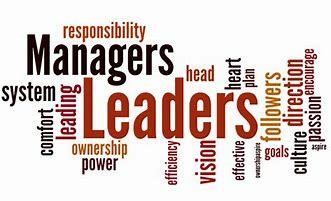 For some reason, when we get promoted up the leadership ladder we have a tendency to focus on the technical aspects of the role and we step up to provide support and guidance on getting the job done. However, we don’t afford ourselves the same luxury to allow time for ourselves to lead the team and have conversations with team members on a 1:1 basis to help them develop and grow. “I didn’t realise there was so much to it”. However, let us not forget that 62% of people leave their job because of their manager, so it is important to give this important role the time and focus it deserves. Have you / your managers received any management development? 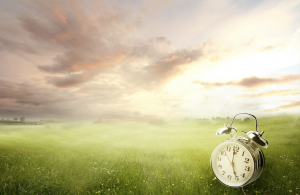 Are you / your managers finding the time to lead? Are you delegating tasks to have more time? What can you do that will make a difference to you and your team? We have a number of solutions that can help your transition through management and leadership which include leadership programmes and coaching. If you would like to discuss your requirements and how we can support you / your businesses then why not get in touch. 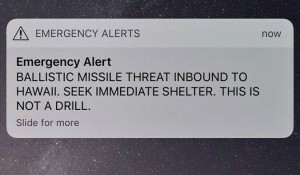 What if you were the one who pressed the button! 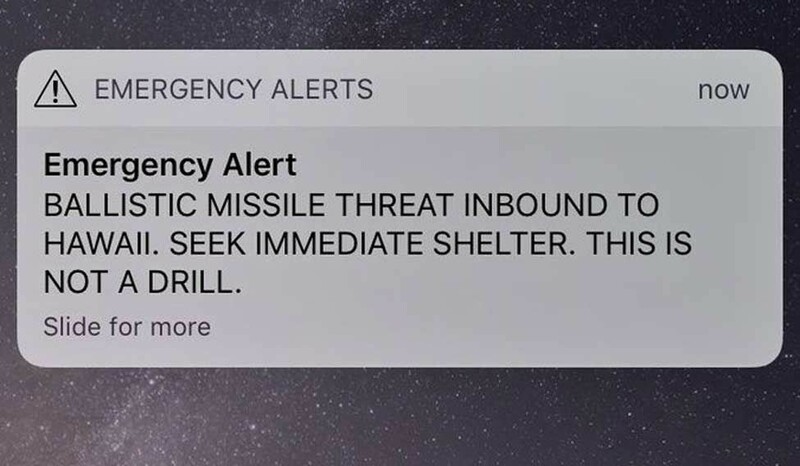 We were reflecting last week on the official alert sent in Hawaii warning people a ballistic missile was about to hit – only for it to turn out to be a false alarm! It’s your worst nightmare, just like when you send an email to the wrong person or even, send to all! Choice 1 – Make everybody involved feel bad and spend copious amounts of time and effort finding out who exactly was to blame. Choice 2 – Find out where it went wrong to ensure we learn from our mistakes and stop it from happening again. Let’s look at choice 1 for a moment. Making people feel bad is a waste of energy and no doubt the person involved will be doing a good job of that themselves. We know from our own experience how we love to beat ourselves up when we make an error or even dare to produce a piece of work anything less than perfection! Secondly, finding out who is to blame reflects an unhealthy company culture, one which encourages people to hide errors, lie, avoid accountability, and stifles risk taking and innovation. Now lets look at Choice 2. Ask yourself who do you know who comes to work and intentionally does a bad job? We bet you’re struggling to think of anyone, and that’s because people generally want to do a good job. So when mistakes are made, rather than spend the time blaming someone for something they didn’t intend to do, find out what and where in the system or process led the individual to the error and change it, learn from it, improve it! Operating in this manner will foster a culture of openness, honesty and learning, where people will step out of their comfort zones and try something new! If an action was taken with good intent, next time maybe think about the choice you take in response. If you would like to know more about how you can create a great company culture, come along to one of our Employee Engagement workshops. This workshop will provide you with a framework to understand the key drivers for employee engagement and give you the opportunity to consider what you can do to bring out the best in your teams and increase your productivity and sales. Click here to book your place and we look forward to seeing you soon. The shortest day is behind us, but many of us are still going to work in the dark, driving home in the dark and spending the days indoors, not even breaking for lunch. If you’re lucky enough, you may have a lovely view of the daylight out of your window! Interestingly scientists at the Lighting Research Center have reported that daylit environments increase occupant productivity and comfort, and provide the mental and visual stimulation necessary to regulate human circadian rhythms (sleep/wake cycle)! In a 1999 study “Daylighting in Schools: An Investigation into the Relationship between Daylighting and Human Performance,” found a high correlation between schools that reported improvements in student test scores upwards of 10 percent and those that reported increased daylight in the classroom. •	Look at your working environment and make the most of your well-lit areas, make plans to share the space with other team members. •	Make sure files and other bulky items are away from the windows letting the light flood in. •	To enhance the benefits of daylight further, find time in your working day to get outside, hear the birds tweet and feel the wind in your hair! •	Design an outdoor space for you and your team to enjoy. Maybe buy a picnic table or some garden furniture. What about developing an edible garden in plant pots for people to pick lettuce leaves in the summer? Overall, research suggests that daylight and daylit areas are likely to improve worker satisfaction, mood, and productivity, so come on, let’s SPRING into action! If you want to know more about creating an environment that can positively impact on profit and productivity, why not join us on one of our employee engagement workshops where you can find out some handy hints and tips to put into action. 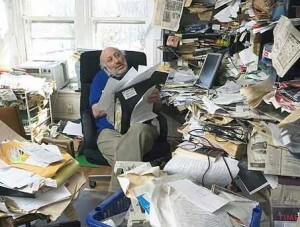 This year I am going to be more organised! Ha! If only we had a pound for every time we heard that over the last couple of weeks! Being organised can make such a difference so we would like to share some top tips to help you start 2018 the way you mean to carry on! •	Operate a personal clear desk policy – Keep documents, supplies and stationery to the bare minimum and move anything that doesn’t directly serve a function. •	Filing – Studies suggest that 80% of what we file is never accessed again (just saying!) if you do need to file, book some time in each day to do it until it becomes a habit. •	Organise your PC/Laptop – Take some time to think about the programs you use regularly and set up your homepage to allow easy access to the program and files you use on a regular basis. •	Plan your work – Take 15 minutes at the end of each day to wrap up loose ends and prioritise key tasks for tomorrow. •	Identify when you have the most energy – Keep a note of your energy levels throughout the day and see if you can establish a pattern. If you notice your energy levels are higher at a particular time of the day, maybe save the larger and more challenging task for then. •	Eat the frog – If you have a task which you find distasteful, a bit like eating a frog, make sure you do it first thing, otherwise you’ll never get around to it! And, if you need more help, then we can offer training and coaching, Click Here to find out more. 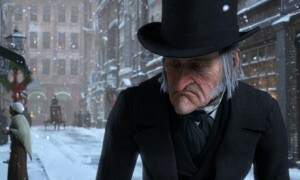 Ebenezer Scrooge, was a cold-hearted miser who despised Christmas. So, what was he like as a leader we wonder? The words difficult and challenging spring to mind and that’s being kind! His behaviours towards poor old Bob were dire, to say the least! He showed Bob very little respect, not even providing the basic resources needed to enhance performance such as heating or good light (having said that, it’s been a bit nippy in Pro-Development Towers recently!) He was totally inconsiderate, work life balance was pitiful, 1:1’s and honest conversations were non-existent as were any performance and development conversations. And forget creativity and innovation, the negative culture would have stifled that! However, throughout all this, Bob continued to work hard and provide for his family, but we would suggest he wasn’t engaged in his work! We have invited Mr Scrooge onto our next Employee Engagement workshop on 23rd January however he is yet to accept the invitation! However we feel that once he sees into the future of how an engaged workforce can increase profit and productivity, he might change his mind! We have also suggested he might want to join one of our next Leadership Development Programmes commencing in January or March 2018. He said he’d sleep on it. We do hope he has a good night’s sleep. If you know of anyone who has Scrooge like characteristics, why not point them in our direction. We can help them move from the past, reflect on the present and feel hopeful about what’s yet to come! This month we said goodbye to another cohort on the Leadership Development Programme. It’s a strange time as on the one hand we are filled with sadness as we say goodbye to people whom we have built strong connections and emotional bonds with, yet on the other hand we see people who have been on an incredible journey over the last seven months and we know they will continue to be great and inspiring leaders in their respective workplaces. On the last day of the programme we hear from the delegates what have they learnt throughout the programme, what have been their greatest achievements, we even want to hear about their biggest challenges as we believe we learn a lot from these. Their personal stories are incredible! A couple of examples, yesterday was one individual stated how she had been described as going from ‘zero to hero’ whilst on the programme, this was a colleague describing the difference they had seen in her confidence and self-belief. Another individual had asked for feedback from a team member and both opened it for the first time and read it out loud to us. The feedback stated how this team member felt very disengaged with work and his manager, however went on to share how this has changed over the course of the programme and how he had seen his manager change his style to one which built a relationship of mutual trust and respect. Our delegate wasn’t surprised by the content of the feedback as he knew, through having regular honest conversations, what the feedback would say. All the same, a very brave thing to do and we admire him for it. So filled with sadness and joy we say goodbye to this cohort knowing that we made a difference, and that is all we can ask for. The Leadership Development Programme is truly a remarkable programme, we are very proud of it and the difference it makes. It’s special, it’s different and it’s powerful. If you know of anyone who you think would benefit, then get in touch, we’d be happy to discuss the programme to see if it’s right for them. We have a programme starting early 2018…Click here for more information and watch our video of a past delegate describing his journey through the programme. How productive are you and your employees? We had the pleasure of attending an event run by HSBC this week where the Bank of England Agent for Yorkshire and the Humber, Juliette Healey shared her concerns about lack of productivity and how this will make it difficult for UK businesses to compete globally. Part of the issue is reported to be lack of investment in buildings, machines, tools and computers. But there’s no doubt that we need our workers to be more productive as well. At Pro-Development we’re passionate about helping businesses across Yorkshire and the Humber to increase their productivity through people engagement. To find out more about our approach to employee engagement, click here. Or, why not come along to our next workshop on the morning of the 22nd November, click here for more information and to book your place. The CIPD identify management development as a solution, with Ben Willmott, CIPD Head of Public Policy advising, “If policy makers are serious about addressing the UK’s long-standing productivity deficit – particularly among the nearly 1.3 million small businesses that employ between 1 and 50 people – then they have to start seriously thinking about how to improve management quality, which the Bank of England’s Chief Economist, Andy Haldane has identified as a key area for focus”. Our experiential management development programme focuses on the importance of holding honest conversations and managing performance. We have one place left on our next programme commencing in January, click here for more information, or contact us. Is Employee Engagement in your sights? The link between employee engagement and productivity means that it’s a hot topic. As a result, it’s been in the news recently with an article in the Guardian discussing a recent study from the University of Warwick. This revealed that happy and engaged staff are 12 percent more productive and that low employee engagement is costing the UK £340 billion a year in lost productivity. So how do we measure Employee Engagement? The CIPD believe that a single metric is too simplistic and rather than a single score, a range of relevant metrics are more enlightening and actionable. We agree which is why we measure against 10 themes and recommend employee interviews as well as an online questionnaire to ensure we have a balance of qualitative and quantitative research. This enables us to develop as full a picture as possible in order to identify specific areas for improvement. 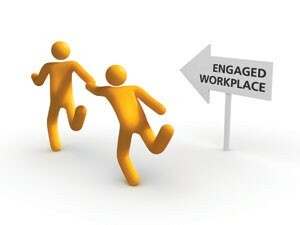 Increasing your employee engagement scores will help to increase productivity and ultimately profit. Come along to our employee engagement workshop on the 22nd November and you’ll leave with an action plan to start improving employee engagement in your workplace. Click here to book your place. Look out for more from the study next week when we’ll tell you about the benefits of working outdoors.